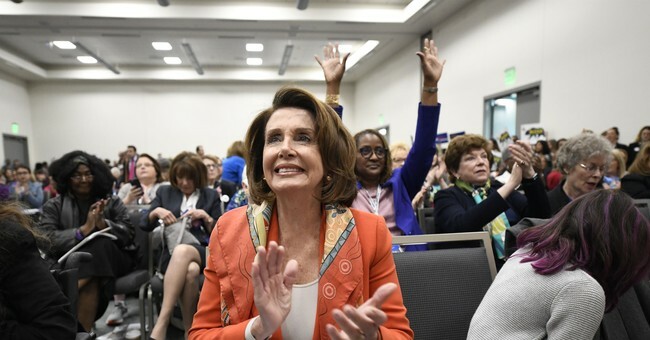 Fudge, 66, a former chair of the Congressional Black Caucus, said she is building a diverse coalition as she mulls a speaker run, talking with allies on the CBC, moderate Democrats, and newly elected members. Pelosi doesn’t seem to be worried, telling Fudge to “come on in, the water’s warm.” Yeah, that’s not creepy at all. Before Fudge makes a decision on whether to help Nancy ‘Buffalo Bill” Pelosi get her sofa in the truck, it’s a trap, folks, there will have to be a solid commitment from this wing of the party to boost Pelosi—and that could mean burning some bridges with senior members of the caucus. Does Van Drew know which party he is a member of? The Democratic Party is ‘you follow Pelosi-Schumer or else.’ There’s no deviating from that unless you want to be rendered a pariah. The candidate search continues for the anti-Nancy group.